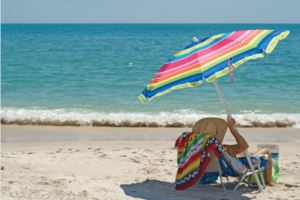 Umbrella Insurance | Rehoboth Beach, DE | Wilmington, DE | Williams Insurance Agency, Inc. It is a disturbing fact of life nowadays that medical expenses and healthcare costs continue to rise. The courts also deliver judgments for some personal injury lawsuits that often amount to millions of dollars. Therefore, a serious accident or major judgement in a lawsuit could easily exceed the maximum coverage of your auto or homeowners insurance. For example: if you are found at fault for an auto accident in which your auto liability coverage limit is $300,000 but the total amount of damages for bodily injury and property damage amounts to $500,000, you would be responsible paying the remaining $200,000. An umbrella insurance policy is designed to provide coverage beyond the limits of your auto or homeowner insurance in such a situation. An umbrella insurance policy can also offer valuable protection from incidents that may not be covered at all under your auto or homeowner insurance, such as if your child should accidentally cause property damage or injury, or if your pet should bite someone or destroy valuable personal property. Most important, however, an umbrella policy can provide coverage from a major judgement arising from certain personal liability lawsuits such as libel, slander, false arrest, invasion of privacy, and more. Due to the great amount of extra coverage it offers, the cost of an umbrella policy can be quite reasonable. Contact the Williams Insurance Agency, Inc. in Rehoboth Beach, Delaware, at 302-227-2501 or in Wilmington, Delaware, at 302-239-5500, for a personal evaluation of your current insurance coverage and to find out how an affordable umbrella insurance policy can provide you with solid protection and peace of mind for all your financial assets.